DESCRIPTION: Up to 19mm. 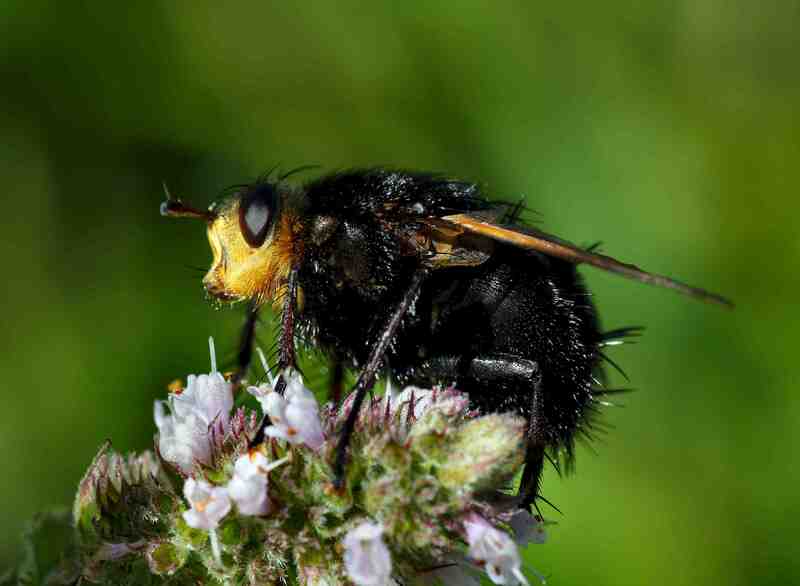 This sizeable beast is the largest Tachnid fly in Europe and is easily recognised by its glossy, hairy abdomen and thorax , its snouted orange-yellow head and the amber-edge to the leading part of the forewing. BEHAVIOUR: The female parasitises other insect larva and lays her eggs inside them. The Oak Eggar moth larvae are a particular favourite. DISTRIBUTION: Mainly southerly in Britain. HABITAT: Generally gardens, meadows and open heaths. PERIOD: July to August.